January 15, 2018 / Jackson Heights Neighborhood / Jackson Heights News / Queens Buzz NYC. This section contains News Briefs about Jackson Heights, Corona & Elmhurst beginning in 2008. They represent brief snapshots of community events that have taken place over the years. CLICK here to view a section dedicated to news about the Jackson Heights neighborhood over the years. October 10, 2017 / Jackson Heights Neighborhood / Queens Buzz NYC. I headed up to Jackson Heights to see what the John Lennon Educational Tour Block Party was all about. The party was scheduled from 12 noon to 5 pm along 78th Playstreet off 34th Avenue in Jackson Heights. Live music, free food and giveaways were part of the appeal, and a good crowd had turned out. There was a large bus equipped with a portable production studio where visitors were being taught how to create music for a demo tape. As I understand it, the intent of the John Lennon Bus Block Parties is to show kids and adults how they can make music for those who might be interested in making a career in music as well as for those interested in making music for their recreational pleasure. There was a large stage at the end of the street, where music was playing and where later in the afternoon Bootsy Collins would perform. 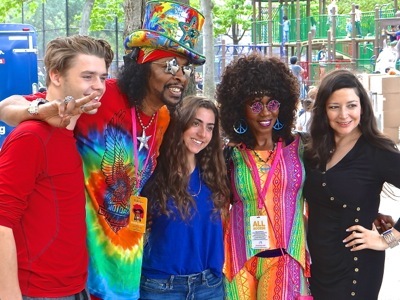 I briefly met Bootsy and his wife and took a few photos. They were dressed like they'd just stepped out of the Yellow Submarine and were headed down Abbey Road. I found a perch atop one of the large stones in Playstreet and shot a video to the tunes coming from the soundsystem. I will try to post it in the near future. The music is good and the crowd was interesting, which is what the video was about. I bumped into Michael Mallon from City Councilmember Danny Dromm's office and we talked about the event. He told me that this was the second year it was hosted at 78th Playstreet in Jackson Heights, but that the John Lennon Educational Tour Bus had been hosting block parties for about two decades. There was some literature and interactive workshops available in the booths where I could see kids and their parents enjoying the possibility of becoming media mavens. On my way out I sampled a couple of small donuts from the Doughnuttery, which has outlets in Manhattan, but not Queens ... least not yet. All in all it looked like an enjoyable way to spend the afternoon. Bootsie was to play around 3 pm, while the workshops and bus would stay open until about 5 pm. One of the great disappointments I encountered while attending the event was seeing that the beautiful building that once housed the Jackson Heights Cinema on 82nd Street just south of Roosevelt had been demolished. There's a less impressive, but still significant old world theater at Diversity Plaza, which I imagine might eventually meet the same fate. While campaigning for Queens Borough President four years ago, QBP Melinda Katz had promised that she would put in place a process designed to help preserve some of Queens great historical relics. As far as I know, to date, that is an unfulfilled campaign promise, as nothing has come of it in the intervening four years. This is the second big historical / cultural loss in the borough in the past four years. The first being the Steinway Mansion which was sold to a real estate developer. But the outside of the Steinway Mansion was landmarked, so it cannot lawfully be destroyed. Others might insist there are more buildings of some historical / architectural / cultural significance that have been destroyed in Queens in recent years, but I digress. I ran into Leslie Ramos, the Executive Director of the 82nd Street Partnership which organized the event. She was surrounded by folks enjoying themselves, which naturally brought a big wide smile to her face. She provided some of the information reported above and talked about how Jackson Heights continued to evolve as a multi-cultural destination with significant representation of Latins, Asians and Caucasians. She said that this festival was designed to promote the neighborhood by bringing everyone together. I walked around a bit, taking photos of some of the food offerings, which I will add to the end of the video. I didn't get a chance to sample any food this year, but if you click the link below, you'll get a sense of what was offered, as a number of the vendors I featured in the early years of the event have been returning annually to participate in the program. Click here to view a report about the Viva La Comida in Jackson Heights during its early years. I set about to experience the solar eclipse of 2017, departing for Manhattan at about 1.30 – a bit after the eclipse was to begin. As I made my way to the subway, I met a woman who was heading to Hunters Point South Park to do the same. 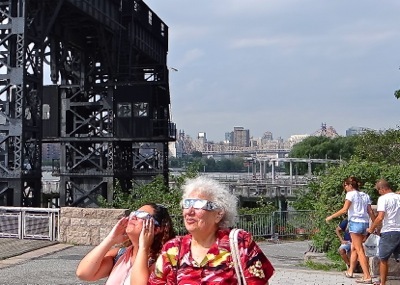 She offered me the use of her eclipse glasses, which I examined but it was far to early to really use. The eclipse glasses were opaque and I couldn’t see through them. Apparently they only work when you’re looking at the sun. The glasses this woman had were sponsored by Cisco Systems through a science camp in Rochester, NY. 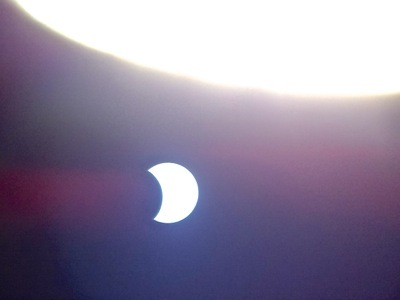 Consumers were advised to be careful about which eclipse glasses to use, as apparently some would not filter out the harmful, eye-damaging rays of the sun. One eclipse audience member told me that the glasses were being sold online – ten for $100. I’ll have more about the protective glasses a bit later as I used the glasses to take what I would call ‘meaningful’ photos. Rest of story with plenty more photos coming later Tuesday 8/22. April 2, 2017 / Jackson Heights Neighborhood / Jazz Musicians in Queens / Queens Buzz. One of the great things New Yorkers experience almost daily, are the millions of cultural exchanges that take place every day in our city of world. Sometimes it's a discussion with a cab driver about where he grew up. Or about the ethnic food being served at a savory new or old restaurant. Or about an unusual design, color or cut of clothing that captures one's attention and curiosity in a store or on the street. Or a discussion about the origins of an unfamiliar accent at a bus stop or on the subway. Or an artwork depicting a foreign scene or point of view at an small art gallery exhibit opening. ... and then there's the wonderful music ... that one periodically encounters ... on the streets of NYC. It could be Asian classical, Middle Eastern or Hindi Rock, or Latin Fusion ... to name a few. With the warming weather, the opportunities to hear the sounds from distant locales around the planet, multiplies. 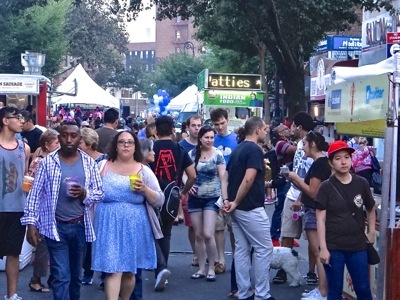 The NYC Parks Department, and organizations affiliated with many of the local parks, as well as the MTA, host cultural performances which make Queens and NYC the great tourist destination that it has become today. The video above captures some of the Latin Fusion sounds of a small jazz band called Inti & the Moon that I came upon last Saturday. They occasionally play at the Jackson Heights subway station on the lower level where you transfer between the #7 line and the E, F or R. And they have a Facebook page by the same name, so if you're interested in them doing a gig, you can reach the band leader and lead guitarist, Geo at 646.427.0894. Click any of these links to scroll down to view the Jackson Heights News / Corona News briefs from prior years. May 16, 2016 / Corona Neighborhood / Queens Historical Society in Bayside / Queens Buzz. I spent an evening at the Bayside Historical Society at Fort Totten listening to two Queens historians recount the glorious past of what is now known as the Corona neighborhood. Historians Jason Antos and Constantine Theodosiou teamed up to research what they called Corona: The Early Years, which recounts the history of Corona prior to the first Worlds Fair in 1939. 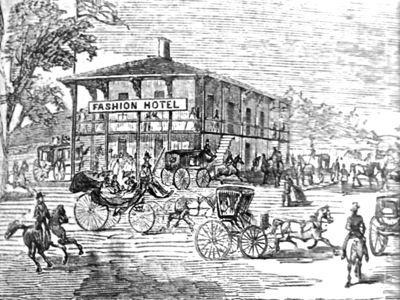 The photo to your right is a print of The Fashion Hotel, which was adjacent to the Corona Race Track, on a race day. The history was far more interesting than I had expected, as I had preconceptions that the history of Corona had been told in prior works about Jackson Heights and Flushing. But the two intrepid historians, whose ethnic affiliation dates back to Thucydides - one of the first great historians of the western world - unearthed a treasure trove of historical lore which brought the neighborhood back to life, as an entity in its own right. Among their findings was the tale of Tiffanys, Typhoid Mary, homestead mansions, early country and suburban living, and what I came to think of as the forerunners of the Belmont and Aqueduct Race Tracks. There is also a section about an early modern Corona real estate development, which had a character and quality very different from what was going on in neighboring Jackson Heights. The two authors will be presenting their book at the Queens Historical Society this coming Sunday, May 22nd from 2.30 to 4.30 pm where they will also be signing books. Books may also be purchased online from Arcadia Publishing at www.arcadiapublishing.com. April 9, 2016 / Jackson Heights Neighborhood / Fashion Film & Music in Queens / Queens Buzz. 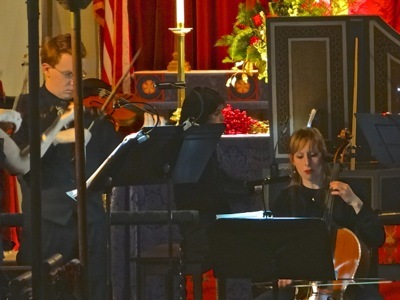 Last December, around the holidays, I attended a performance of classical music at St Mark's Church in Jackson Heights. It turned out to be a very special evening, as the acoustics of the beautiful, near century-old church, lent themselves well to the centuries old classical music. The concert was given by the Queens Consort, which is a new baroque ensemble based in Queens. The Queens Consort inaugural concert was given in October of 2015. The Yuletide Celebration Concert, which I attended was subsequently given in December. The new classical chamber music group will conclude their first season with two concerts later this month - one of which will be given in Manhattan and the other in Queens. The Queens concert will take place on Saturday, April 30 at 7 pm at St. Mark´s Church in Jackson Heights. The parish has shown a keen interest in classical music as there's a spiritual element that accompanies it. The concert will be comprised of English Baroque music to celebrate spring, and entitled Flora Gave me Fairest Flowers. On the program are works by John Wilbye, Thomas Morley, Matthew Locke, John Dowland, Henry Purcell and Thomas Arne. The Queens Consort will be joined by guest artist soprano, Amanda Sidebottom, who will accompany the Queens Consort group which is comprised of Co-Founder Claire Smith Bermingham playing Baroque Violin, Co-Founder Margrét Hjaltested playing Baroque Viola, and Daniel McCarthy playing Baroque Violin, Anneke Schaul-Yoder playing Baroque Cello and Aya Hamada playing the Harpsichord. 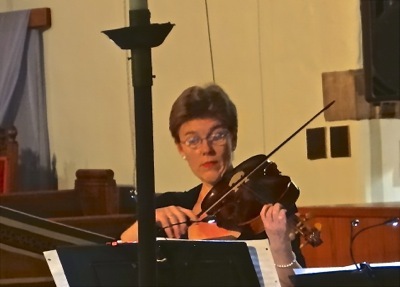 The professional musical group plays on period instruments and its mission is to bring Baroque chamber music programs to the community of Queens. The upcoming concert is an hour in length with no intermission, followed by a festive reception. Tickets available at the door $15/10. 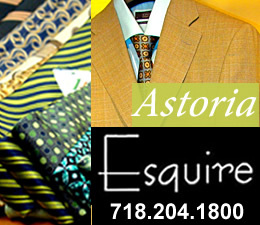 For more information on the program, please visit www.queensconsort.com. Sometime in the future you'll be able to click here to view / listen to a short video of the Yuletide concert held at St. Marks Church in Jackson Heights. May 4, 2015 / Jackson Heights Neighborhood / Environment & Ecology in Queens / Queens Buzz. 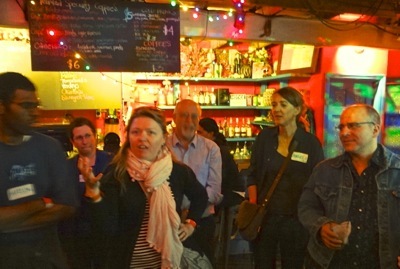 Last week there was a Queens Green Drinks social at Terraza 7 just off Roosevelt Avenue in Jackson Heights. Gathered within were several dozen people who had come from many parts of the borough to have a drink or two and to socialize. The attendees were generally interested or involved in community efforts to create a more sustainable lifestyle in Queens and NYC. The event was organized by Katie Ellman of GreenShoresNYC, in tandem with Angela Stach Co-Chair of Transportation Alternatives Queens, and Len Maniace the President of the Jackson Heights Beautification Group and Publisher of PlanetNYC.com. Katie is shown with scarf at front, Len Maniace is standing behind her and Angela Stach is shown with name badge at right. Phillip Papas, an avid cyclist, is shown standing on the far right. Queens Green Drinks is a non-profit grassroots idea that went viral and went global over a decade ago. The intent of it was simple, to organize socials where people interested in a more sustainable lifestyle could meet and get to know each other. That was it. What came of those new relationships was up to those involved in them. Helen Ho, of Queens was the first to pick up the torch and begin organizing Queens Green Drinks events at various locales around the borough. She kept Queens Green Drinks going for a number of years and through her efforts a community evolved of people who were involved in things like: East River kyaking, cycling in Queens, urban tree and tree bed planting, public park space advocates and defenders, organic food folks, urban farmers, green energy, green architects and green government officials ... to name just a few. But organizing these get togethers, especially as they were held monthly, was a time commitment and personal effort that can't last forever. In time Helen reduced the frequency of the socials, and eventually the events went on hiatus ... until Wednesday, April 29th when Katie Ellman picked up the "torch of a new generation" and held the first event at Terraza 7 in Jackson Heights. We'll post more about this effort a bit later in the week. March 13, 2015 / Woodside Neighborhood / Fashion in Queens / Queens Buzz. I attended a Women's History Month Celebration hosted by NYS Senator Peralta to honor several Queens neighborhood women for their contributions to the community. The Senator had arranged to have Miss Universe 2014 come to help emcee the event, which as it turns out, was hosted in front of a full house at La Boom, a night club on the second floor of 56-16 Northern Blvd. It was a cold near Spring evening as I arrived. After passing through security, I made my way to the stage of the dance hall where the photo op was to take place. After a short wait, Miss Universe Paulina Vega came out on stage accompanied by NYS Senator Jose Peralta. There were a few questions asked, but it was mostly the flashing photographic event which preceded the awards ceremony. One of the folks who would partake in the photographic event was Jessenia Vargas, who was the first Miss Queens, preceding the launch of the first Miss America Miss Queens pageant, which was held last fall. Senator Peralta would honor five Queens women for their contributions to the community. 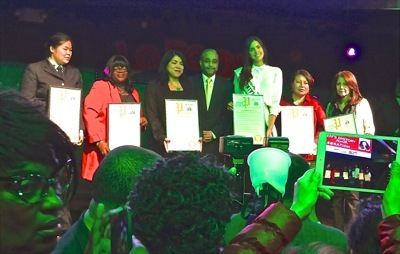 The honorees from left to right in the photo at right included: Sarinya Srisakul, New York’s only Asian-American female firefighter; Priscilla Carrow, a recognized community activist; Carmencita Gutierrez, Director of the Office of Immigrant Affairs for the Queens District Attorney’s office; NYS Senator Jose Peralta, Miss Universe Paulina Vega, Nora Espitia and Rosana Becerra, HIV/AIDS health prevention promoters. Carmencita gave us some statistics about immigrants in Queens as seen through the eyes of the Queens District Attorney's office. She noted that 27% of the borough's residents speak Spanish and that 47% of the borough's residents were born in another country. Sarinya Srisakul also provided us with a few statistics as they pertain to NYC fire fighters noting that 85% are Caucasian males, 6% are Latinos and 4% are African American. She went on to note that there are less than 100 Asians in the NYC fire department, and only 44 women. The NYC Fire Department, she informed us, employs over 10,000 people. Miss Universe has adopted HIV / AIDs as one of the causes for which she will help create awareness as Hispanics are three times more likely and African Americans eight times more likely to contract AIDs than Caucasians in this country. Miss Universe Paulina Vega will be residing in Manhattan this year as she travels the world during her reign. She is the second Colombian to win the Miss Universe title. Miss Vega turned 22 in January 2015. Click this link to view a photo album of the event, or click on one of the photos above to view a slide show of the Women's History Month Celebration hosted by Miss Universe Paulina Vega and NYS Senator Peralta at the La Boom night club on Northern Blvd in Woodside. April 1, 2013 / Jackson Heights / Judaism in Queens / Queens Buzz. On March 26th I attended the fifth annual Kehillat Tikvah Tuesday evening at St. Mark’s Episcopal Church in Jackson Heights. 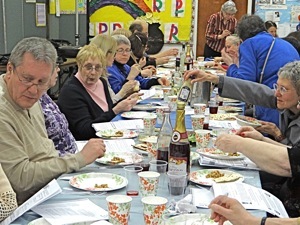 This Passover was hosted by Kehillat Tikvah, which is a relatively new community of hope, located in Jackson Heights. Rabbi Laurie Gold led the evening of festivities. I arrived around 6 pm as the organizers were finishing up last minute details for the event. A U shaped table formation in the middle of the large room had been set, and there were containers of warm food laid out along a long table in front of the kitchen. People within the community were conversing, and without much effort I was drawn into a conversation with the folks sitting next to me. Click here to read the rest of our report on the Kehillat Tikvah Passover in Jackson Heights later in the week. 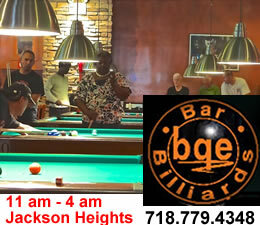 February 10, 2013 / Jackson Heights & Corona / Queens History / Queens Buzz. I attended a celebration of the commemoration of the Langston Hughes Library as a literary landmark. The event encompassed an array of activities, some of which were rescheduled due to the snowstorm. The event celebrated the life of Langston Hughes, a famous African American poet who lived in Harlem. In the coming days we'll file a report about the event which included a speech given by the author of Panther Baby, who told us about his experience growing up in Harlem in the 1960's. His speech included a vivid description of his days on the streets, during the Harlem Riots which followed Martin Luther King's death. The event also included a film and song and dance performance - the photos of which we'll include along with our report later in the week. 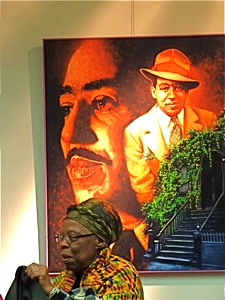 Click here this week to read our report about the commemoration of the Langston Hughes Library in Corona as a literary landmark in Queens. 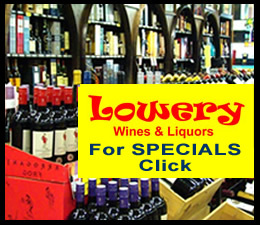 Click here to go to the Jackson Heights Neighborhood section of this site, or click here for other Jackson Heights News. January 23, 2013 / Jackson Heights / Queens Business / Queens Buzz. On Thursday January 17th, the Queens Chamber of Commerce presented awards in twenty separate categories honoring builders in the borough of Queens. The Queens Chamber Building Awards Reception began in 2007. The awards were broken into three major categories: 1) Rehabs, 2) Interiors and 3) New Construction. And, except for Interiors, each of these categories included a number of subcategories. 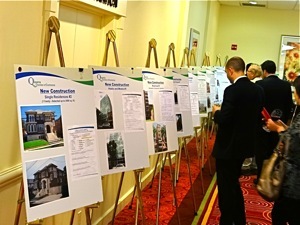 In the photo to your right you can see QC Building Awards attendees looking over some of the awards given at the event. We'll post more at a later date, including photos of the Queens Chamber Building Awards Reception held at the Marriott LaGuardia in East Elmhurst, just north of Jackson Heights. 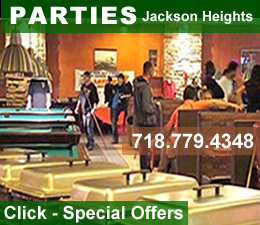 December 3, 2012 / Jackson Heights & Corona / Latin Culture in Queens / Queens Buzz. Corona installed a pedestrian mall at 103rd Street and Roosevelt Avenue earlier this year. This holiday season they put the pedestrian mall to good use during the fifth annual Corona Holiday Tree Lighting ceremony. There were about 20 vendor tents that included gift items, clothing and food, all lined up along the southern end of the plaza - while along the northern end of the plaza there was a huge Christmas tree, a large inflated Santa, the Holy Family in the Manger and a large stage. 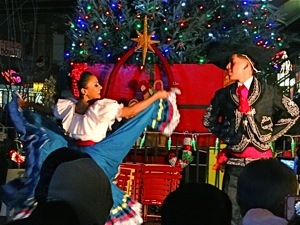 I stayed for a while to watch a number of enjoyable Latin song and dance performances. Many of them were performed by talented dancers and musicians from the neighborhood. It was like taking a Latin holiday, but without the hassle and airfare. Perhaps one day you'll be able to click here for a slide show and report about the Christmas Tree Lighting in Corona Queens. July 16, 2012 / Jackson Heights / Fashion Film & Music in Queens / Queens Buzz. I attended a summer concert in Travers Park on Sunday evening along 78th Play Street, off 34th Avenue in Jackson Heights. The Urban Gypsies were performing in front of a crowd of some 50 to 100 people who had found seating on the street [see photo] and on a number of benches and chairs along the street. The Urban Gypsies played a number of tunes from the classic rock years of the 60's and 70's, as well as some good old fashioned blues. In spite of the heat [90's] the group got into a good rhythm and rocked the neighborhood. 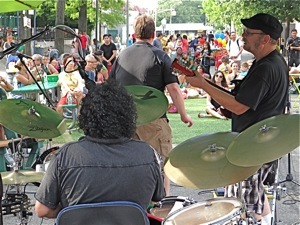 There will be more of these concerts in Travers Park in the coming weeks, as well as in many other parks around Queens. This week there are just under a dozen free concerts in Queens Parks, some of which include national talent as part of SummerStage in Queens Bridge Park in LIC all week. Click into the Queens Events section and down to the Live Music category to view all of the live music concert performances in Queens Parks this week. Click here to view a listing of free summer concerts in Queens Parks. 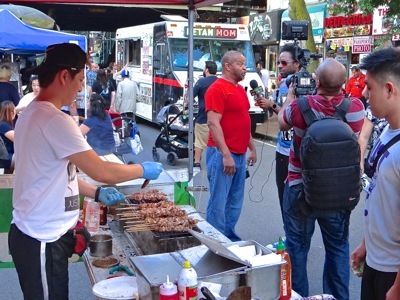 June 11, 2012 / Jackson Heights / Queens History / Queens Buzz. The Jackson Heights Beautification Group Historic House Tour is a once-in-year opportunity to hear author and historican Daniel Karatzas talk about Jackson Heights history, zoning regulations and other topics related to the quality of life in Jackson Heights. For the past twenty years Daniel has waxed historic about the Queens farm fields turned golf course and tennis courts, turned classically constructed 20th century development, turned modern day melting pot in the form of microcosm of many national cultures. The history of the Jackson Heights neighborhood is a fairly modern tale of real estate development in NYC and America in the 20th century. Daniel's discourse covers the economic vicissitudes of the past century, and their impact on real estate development and housing values. The story continues to this day and Daniel monitors Jacskon Heights changes daily as a realtor in the community. 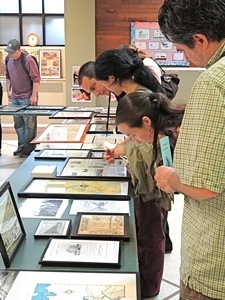 In the photo to your right, JHBG Historic House Tour audience members are shown looking at the Jackson Heights Beautification Group historic exhibit at Community Church on June 9th. March 3, 2012 / Jackson Heights Neighborhood / Jackson Heights Parks Queens / Queens Buzz NYC. The Queens Department of Transportation reconfigured some of the roadway, public transit and pedestrian traffic flows in the second half of 2011. Most of the transitions went well, but a group of shopkeepers along 37th Road off 74th Street, weren't happy with the changes as it reduced the street traffic in front of their stores and hence affected their businesses. 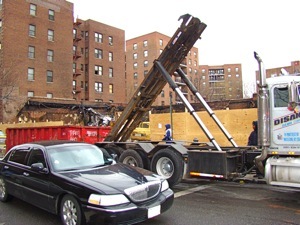 Click here to read our report on the Jackson Heights traffic changes by the Queens Department of Transportation in 2011. A pedestrian mall replaced a motorist roadway and the bus stop was moved several blocks further east in order to reduce continual congestion at the 73rd Street / Broadway / Roosevelt Avenue intersection. Following the changes, it was suggested that the 37th Road traffic be re-routed toward the mall, instead of away from it. A decision on this request is expected soon on the traffic flow on 37th Road near 74th Street in Jackson Heights. Once the changes are finalized, residents and merchants of Jackson Heights can look to see some enhancements made to the pedestrian mall which should make it a more inviting habitat, which will also likely help those merchants by making the location a destination. The information for this report was gathered via the Queens Department of Transportation [QDOT] and the office of City Councilmember Danny Dromm. July 7, 2011 / Jackson Heights Neighborhood / Queens Business / Queens Buzz. I attended a reception for a number of Costa Rican exporters given by the Queens Chamber of Commerce at the Bulova Corporate Center in Jackson Heights. I met with a number of them to find out what goods and services they were seeking to export to America and in the process learned a bit more than I expected about our prosperous Latin American neighbor which has become a mix of old and new over the past last half century. Costa Rica is located in Central America and the nation has access to both the Pacific Ocean and the Gulf of Mexico. Historically Costa Rica had been an agrarian based economy, growing coffee and tobacco for export. In the last few decades, Costa Rica has become a tech center for companies like Intel and some biotech companies. 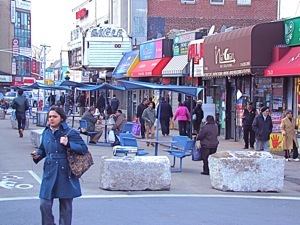 Click here to read other newsbriefs for Jackson Heights Queens. March 7, 2011 / Jackson Heights / Cinema & Film in Jackson Heights Queens / Queens Buzz NYC. We were fortunate to have returned to the Queens World Film Festival on Saturday night in time to catch the screening of a great indie comedy thriller entitled Maggie Marvel. It's a cross between James Bond and Austin Powers. Maggie is a single mom with a daughter and one nasty temper. Oh, by the way, she's also employed as a hired killer. The movie is fun as the hits are mostly comedic not grotesque, and as the movie progresses the family appears to works through some of their dysfunctionality. Click here for a photo review of Sillage, Maggie Marvel and eventually about Vinnie. January 8, 2011 / Jackson Heights Neighborhood / Jackson Heights Parks Queens / Queens Buzz NYC. This past weekend the Parks Department hosted its 7th annual Mulchfest. The event was city-wide, including at nine parks in the borough of Queens. Last year this event helped save nearly 24,000 trees from filling landfills, as the mulch was used by the Parks Department to help irrigate local parks. Mayor Michael Bloomberg appeared at the Jackson Heights Mulchfest on Saturday afternoon, to display his skills as a Metro Mulcher, while querying the crowd as to the purpose of this event and why it's important. The Jackson Heights crowd was well informed, answering his mulching questions in a heart beat. Then, in front of a Mediafest of cameras, the Mayor and City Councilman Danny Dromm proceeded to don protective glasses and begin mulching away. December 5, 2010 / Jackson Heights Neighborhood / Live Music in Jackson Heights Queens / Queens Buzz NYC. 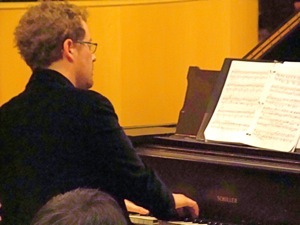 The Jackson Repertory Theatre held its first concert in what will continue as an ongoing series in 2011. In the first concert we were treated to the eclectic sounds of Sunny Knable on the piano. Sunny prepared a medley of tunes from classical to jazz to original works by the musician himself. Sunny is an accomplished pianist whose versatility was matched by his originality and enthusiasm. The crowd of about 50 seemed to greatly enjoy the performance, which was given at the Jewish Center in Jackson Heights. The next concert will be held next year. Stay tuned. October 6, 2010 / Jackson Heights Neighborhood / Jackson Heights Parks Queens / Queens Buzz NYC. This Spring Jackson Heights community activists sought and received approval to 'take back the streets'. The stretch of road along Travers Park on 78th Street between 34th Avenue and Northern Blvd was closed to local traffic all summer long to allow kids to safely play in it. The inaugural event included appearances by City Council Speaker Christine Quinn [originally from Queens], as well as Daniel Dromm and Jose Peralta. 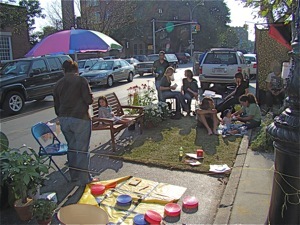 The photos shown here were taken by Len Maniace, one of the community activists involved in getting the street closed for the summer. 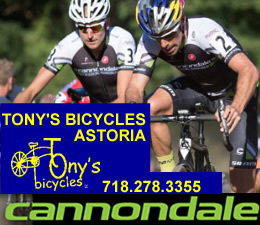 A similar action was taken in Astoria the past couple of years, when the Astoria Park Alliance received permission to close Shore Blvd one day each weekend for three weekends in August. Len points to the fact that Jackson Heights has garden apartments which have beautiful, spacious private grounds, but the neighborhood has little in the way of public park land. He notes that this is a way to create public recreational space. Len is a member of the Jackson Heights Beautification Group and The Friends of Travers Park committee. The following link will take you to the video created about 78 PlayStreet in Jackson Heights. 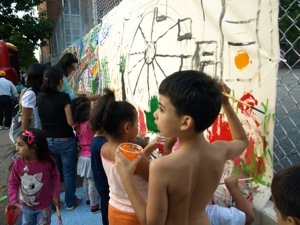 Or click here to view three more of Len Maniace's photos of 78 Playstreet in Jackson Heights. Special thanks to Len and Helen Ho for some of the information contained in this report. June 2010 / Jackson Heights Neighborhood / Queens Buzz NYC. 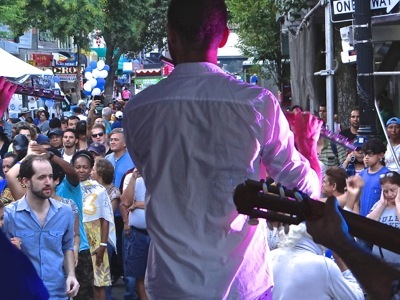 June In Jackson Heights is an effort to showcase the arts and culture in Jackson Heights. 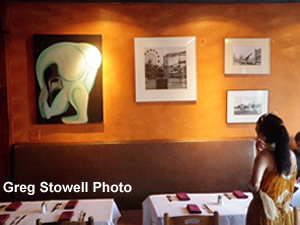 As part of that broader effort, artist Afzal Hossain and photographer Greg Stowell held a two person show that opened June 24th at Novo Restaurant in Jackson Heights. 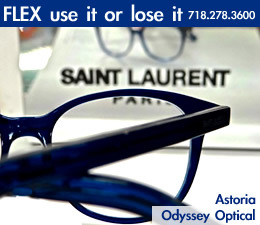 The exhibit will be shown in the restaurant on 37th Avenue between 78th and 79th Streets through July 22nd. The photo to your left shows an observer at the opening reception, studying the black and white photos and artwork shown in the exhibit. This restaurant / exhibit was one of many that participated in a June effort to showcase the arts and culture in Jackson Heights. 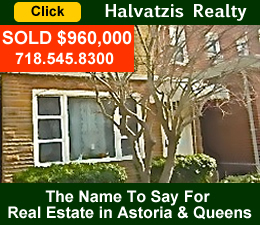 February 17, 2010 / Jackson Heights Neighborhood / Jackson Heights Real Estate & Realtors / Queens Buzz NYC. 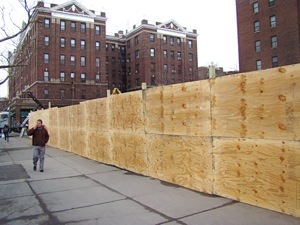 Yesterday as we were walking along 37th Avenue near 82nd Street in Jackson Heights, we were surprised to find that the site of the four alarm fire in Jackson Heights had already been mostly cleared away. A four alarm fire on 37th Avenue between 82nd and 83rd Streets was responded to on the morning of Saturday February 13th around 9.30 AM. The fire was detected by an employee of one of the many local shops located in the building. The fire raged until after 3 PM the same day and the property losses appeared to be total. The good news is that apparently nobody was injured. We also understand that the fire department returned to the site on Sunday. Fire houses from nearby neighborhoods such as Woodside were also called upon the help extinguish the fire. We spoke to Steve Ritea of the FDNY who informed us that early this week the fire department sent out an email informing the established media that the cause of the fire was accidental and that it was caused by a defective boiler. Wenzhou NY Realty is the owner of the location. As you can see by the photos shown here, they have wasted no time in clearing the location in preparation of the next edifice. 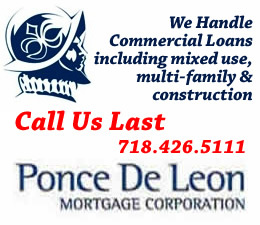 We understand that the neighborhood city council man and community groups have made efforts to reach out to the location owner in hopes of working with them to erect a building that will be compatible with the neighborhood's interests. 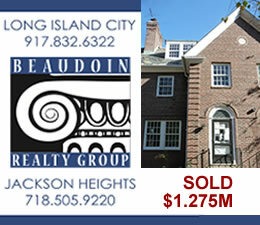 Click here to view other Jackson Heights News Briefs / Elmhurst News Briefs. December 16, 2009 / Jackson Heights Neighborhood / Holiday Events in Jackson Heights / Queens Buzz NYC. Ah yes, another year gone by. So hard to believe that ought ten is only two weeks away. 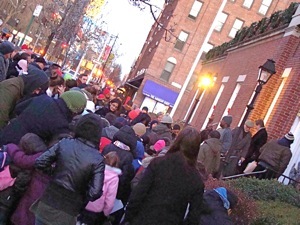 The Jackson Heights Beautification Group [aka JHBG] hosted another tree lighting event in front of the U.S. Post Office on 37th Avenue near 78th Street. This year the emcee was Len Maniace and the prayer was given by the reverend Ronald Tompkins standing next to him [see photo album for many more and larger photos]. Teachers and students from 82nd Street Academics provided a little holiday performance of a reading, chorus accompanied by guitar. The band from PS 69 [Community United Methodist] also entertained the audience with a few musical numbers from its repertoire. Meanwhile the post office Christmas tree sat waiting quietly for its big moment. 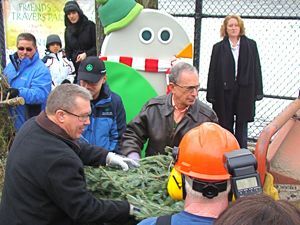 Click here to view photos of the Jackson Heights Beautification Group's annual Christmas Tree Lighting 2009. October 2009 Jackson Heights Neighborhood / Cinema & Film in Jackson Heights Queens / Queens Buzz NYC. This year the Jackson Heights Film and Food Festival [hereafter referred to as JHFFF] did not take place. 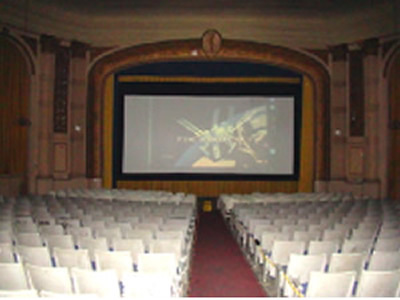 First there were difficulties obtaining access to the Eagle Theater, which had served as the host for the film portion of the program in 2008. Since they could not obtain a commitment for a date for the film portion of the festival, the JHFFF held off scheduling the food portion. In September the JHFFF managed to gain some sort of agreement from the Jackson Triplex theater on 82nd Street to host the event in one theater for one night only in October. Because of the limited time duration, the JHFFF had to reduce the number of films shown to two: a short film and a documentary. The JHFFF also couldn't pull together a full blown food festival on such short notice, and so decided to host a reception following the scaled back screening. When the arrangement with the Jackson Triplex theater fell through, for reasons unknown, the film portion was completely cancelled. By this time the food portion was scaled down to an after party reception at nearby Limoncella. 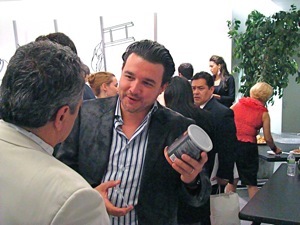 Limoncella hosted a small reception, as what remained of "the show must go on". 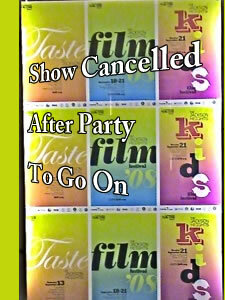 Needless to say, all in all it wasn't a good year for the Jackson Heights Film and Food Festival. 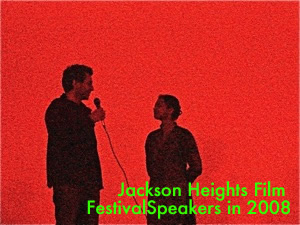 Click this link to view stories about the Jackson Heights Film Festival and the Jackson Heights Food Festival of 2008. October 19, 2009 / Jackson Heights Neighborhood / Cinema & Film in Jackson Heights Queens / Queens Buzz NYC. This weekend is the 2009 Jackson Heights Film and Food Festival. It's on Saturday at the 82nd Street Triplex theater which is a beautiful classic turn of the last century movie theater. There will be a reception starting at 6.30 pm with food from six different area restaurants. The program includes three films: two shorts and one longer one. And the event will be followed by an after party at nearby Limoncello which is a small charming Italian restaurant. You might want to purchase your tickets through the Jackson Heights Film and Food Festival website [jhfff.org - $20 / $15] as seating is limited. Our full report of this event was cancelled due to cancellation of the festival. September 21, 2009 / Jackson Heights Neighborhood / Jackson Heights Parks Queens / Queens Buzz NYC. Summer is over and today is officially the first day of Autumn. Enjoy the week as the current forecast calls for dry and moderately cool. Last Friday Transportation Alternatives and the Friends of Travers Park installed a temporary park along 37th Avenue near 78th Street [see photo to right]. The new park opened around 9.30 am. There were more visits to this park per square foot, than in nearly every other park in the city, and yet in spite of the large per capita square footage occupation rate, there wasn't any littering, rapes, murders or burglaries reported in the new park. But alas, all good things must come to an end and at 6 pm the city closed it and converted it into - of all things - a parking space! All kidding aside, the event was intended to get people to think about how much space is devoted to automobile parking versus how much space is devoted to recreational space for people. Click here to view a photo album containing additional photos of the 'new park', as well as a few other photos of Jackson Heights this past weekend. In other events we covered this weekend, click here to learn a bit about the Jackson Heights Art Club. 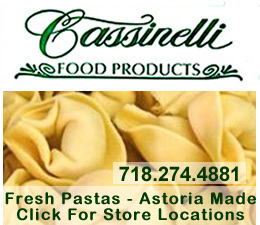 Click this link for promotions, discounts and coupons in Jackson Heights, Corona and Queens. 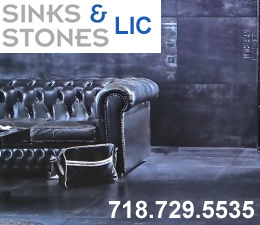 Click this link to go to the Jackson Heights & Elmhurst Neighborhood News / Jackson Heights Restaurants / Jackson Heights & Elmhurst Shopping.